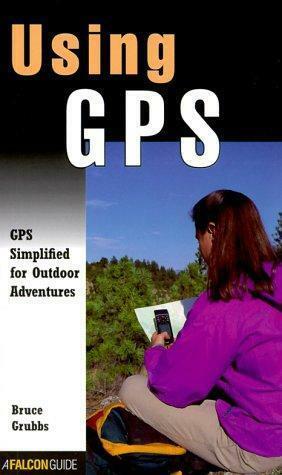 The Global Positioning System, or GPS, is increasingly the tool of backcountry travelers. This pack-sized book is a guide to practical field use of GPS for anyone whose play takes them to remote or hard-to-find areas. Bruce Grubbs, veteran outdoor writer and technology enthusiast, offers helpful advice for hikers, backpackers, anglers, mountain bikers, kayakers, canoeists, and cross-country skiers. Written in simple language, with each term explained as it is used, Using GPS is a wealth of useful backcountry naviation advice for beginners and experts alike. This pack-sized book is a guide to practical field use of the Global Positioning System for anyone whose play or work takes them to remote areas. Written in simple language, with each new term explained as it's used, this book is a wealth of useful backcountry navigation advice for beginners and experts alike. Bruce Grubbs is an avid hiker, mountain biker, and cross-country skier who has been exploring the American desert for over 30 years. An outdoor writer and photographer, he's written seven other FalconGuides. He lives in Flagstaff, Arizona.